There really is nothing quite like a massage to relax you, is there? But it can be difficult to find the time for an appointment, and then there’s the cost too. 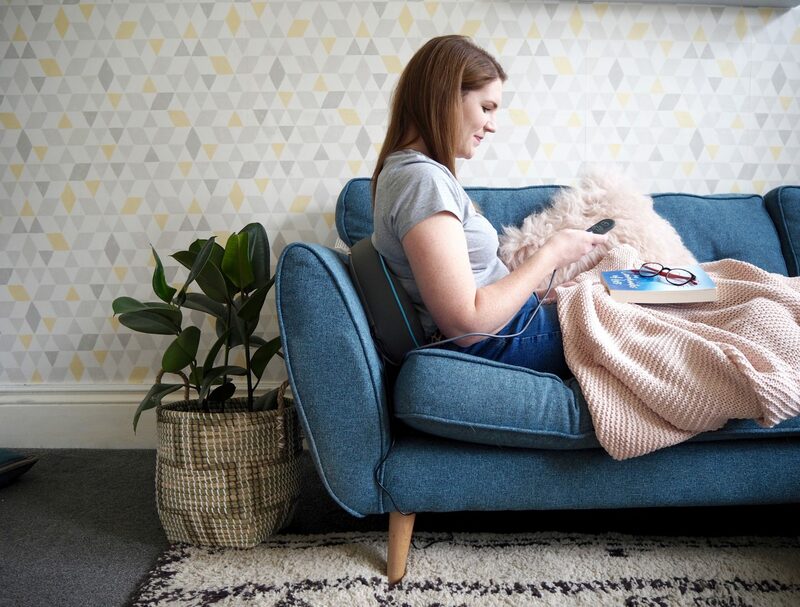 But what if you could have a massage in the comfort of your own home, whenever you wanted? That’s exaclty what the HoMedics products aim to do, and I have been lucky enough to test one of their fantastic Gel Massage products out. 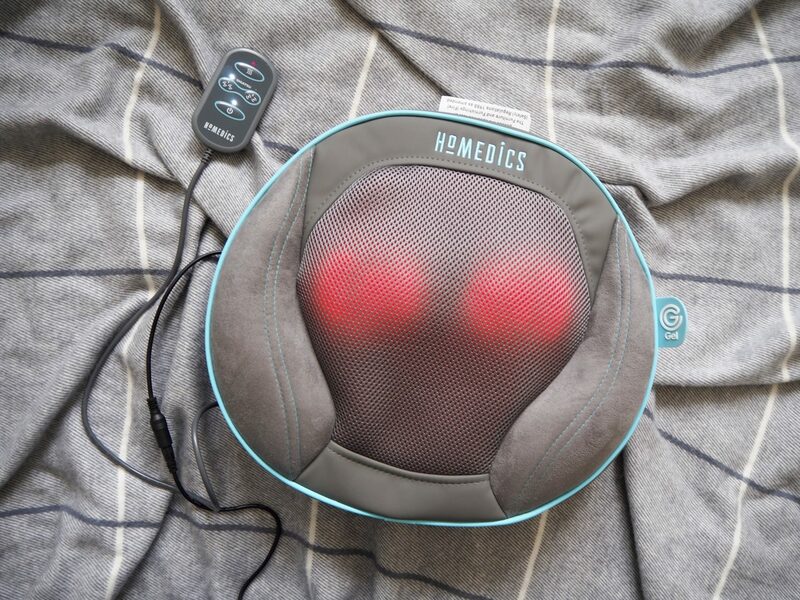 HoMedics have a fantastic range of massage product that help you to relax and de-stress at home. Their latest range – Gel Massage – is the closest to a real massage you can get. 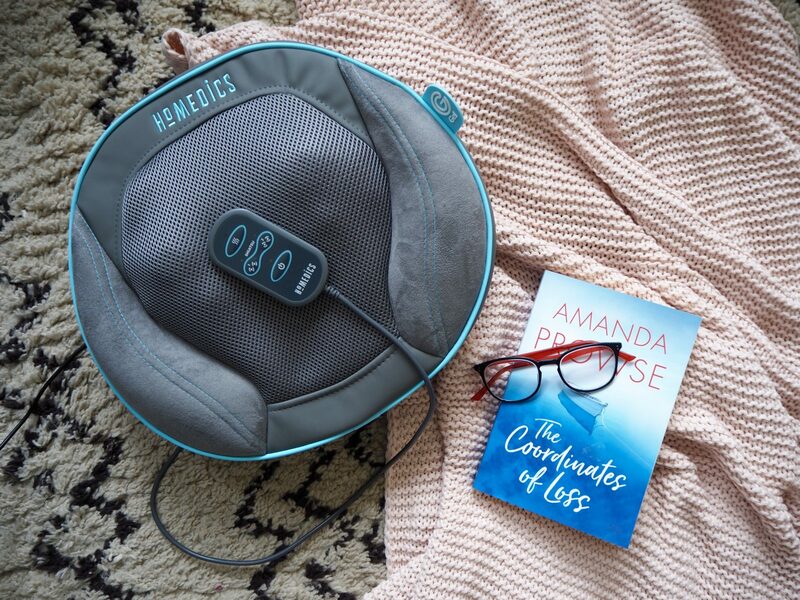 I have been trying out the HoMedics Gel Shiatsu Massage Pillow which is a compact pillow that can be used to massage the neck, back, shoulders and even legs. It comes with a handy remote control that allows you to adjust the massage therapy and even gives you the option to add soothing heat if you want to. What I liked about this particular product is that it is compact, so it’s easy for me to store it away when it’s not in use. I can also easily move it around the house with me and it can even be taken to the office. Perfect for instant relief anywhere, anytime. So how does the Gel Massage technology work? The Gel Massage range mimics the touch, sensation and accuracy of the human hand without causing any discomfort. The gel nodes rotate and knead to release tension and help you unwind. I’ve been using the Gel Shiatsu Massage Pillow over the past few days and I can honestly say that it is amazing. It’s incredibly relaxing and a great way to unwind at the end of the day. Working on my laptop for hours at a time can cause a lot of tension to build up in my neck and shoulders and this product has really helped to relieve that. My husband often has issue with his neck and back so I just know that this is going to come in very handy for us over the years. If you are local to Sheffield and would like to find out more about these products, the HoMedics team will be showcasing the Gel Massage range at Meadowhall this coming weekend (Saturday 24th and Sunday 25th November). 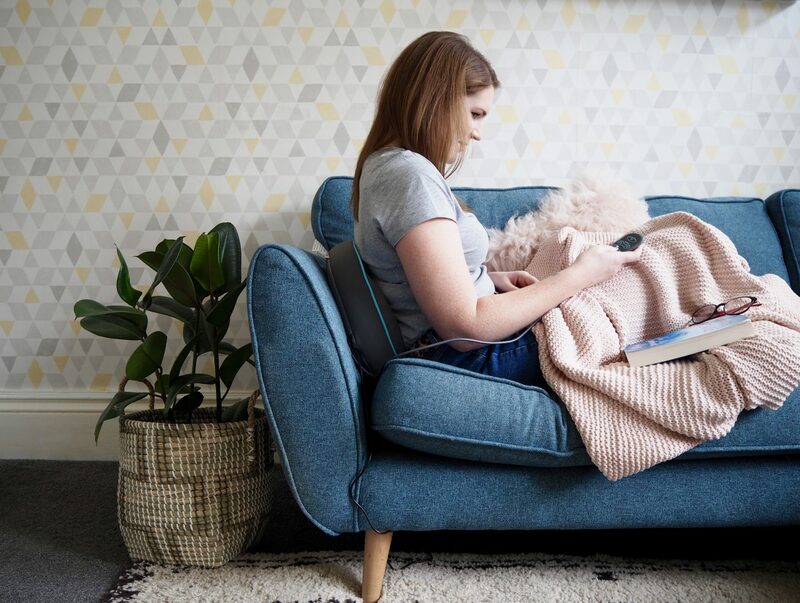 To get 20% off any product in the HoMedics Gel Massage range simple follow this link and use the code EMMA20 at checkout. You can check out the rest of the HoMedics Gel Massage range here.